Even post-retirement Boardman has hardly stopped. Leading spokesperson on cycling advocacy. It’s not all about listing off achievements. 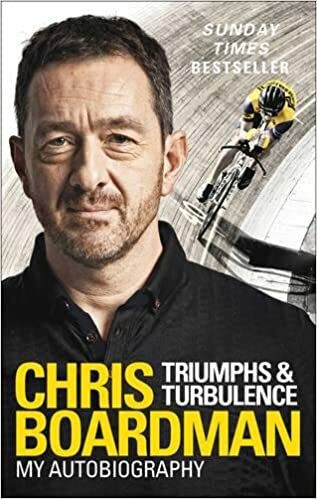 You get an insight into the difficult years, poor results and also Boardman’s obsessive sportsman personality. The most interesting thing in book is how post-retirement, he became more aware of different perspectives of approaching life – a more rounded approach than obsessive self-oriented goals of a sportsman. For the many sporting obsessives who get sucked into their own career and performance would benefit from reading Boardman’s perspective. One important aspect of the book is Boardman’s attempt to find balance in life – something he’s not always been successful in doing. My favourite part of the whole book is the confession that – the night after his wedding – he got up at 5.30am to do a hill climb on ‘Nick ‘O Pendle’. It wasn’t even a national championship – it was an open event but the only chance to ride course before the big event later in the year. This is dedication to the hill climb cause. A few weeks later (1988) Boardman who the first of his three national hill climb titles on the Nick O Pendle. Boardman rode through one of the darkest eras of professional cycling. Turning pro in 1993. Leaving the sport in 2000. It was an era of insufficient drug controls, and and explosion in the use of new drugs like EPO. I’ve read so many ‘confessional drug autobiographies’ I took a vow – after reading Tyler Hamilton’s book – I would never read another. I’ve had my fill of doping confessionals for a lifetime, so it is kind of rare to read an autobiography from that period where you can have faith in the athlete. Boardman writes very little about doping per se. 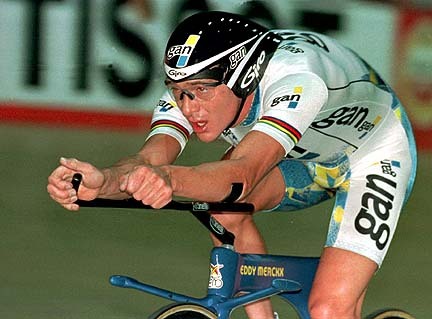 He briefly mentions the unpredictability of results and how in late 1990s, unexpected riders could suddenly start to produce very impressive time trials. Boardman noted how it got harder and the speed in the mountains was something he could never live with (despite obsessions over weight). Boardman’s main point is to describe how (after he crashed out of 1998 prologue) the Festina crisis exploded a few days later. He writes this directly after ‘the unpredictability of results’. But, that is about it. It would have been interesting to hear more thoughts on this subject, but from what I’ve heard Boardman always said he didn’t want to risk his health, and that’s about it. I read the book in a few days, and it is worth buying. It provides an interesting and humorous look at Boardman’s life and career. It also provides a good overview of the development of British cycling from the late 1980s to the present day. Although, it comes from one person’s point of view, it is as good as any for understanding the evolution of British Cycling.